Want to dip your toes into the KiddyKeys pool with a short-term commitment? 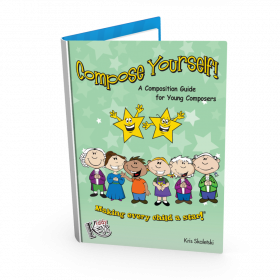 These materials are great for offering once-per-week classes for six weeks or a one-week, daily camp. Lessons can be a fast-paced and full 30 minutes or a more easy-going 45 minutes. Recommended for ages 2.5–5. See "Product Description" for a detailed list of included materials. 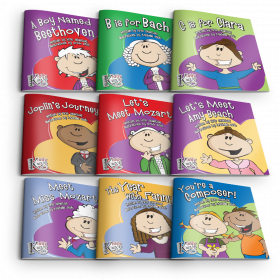 6 lesson plans covering finger numbers, hand position, the music alphabet, the black key groups, locations of C-D-E-F-G-A-B, and an introduction to note values (by our favorite furry friend Music the Dog!). 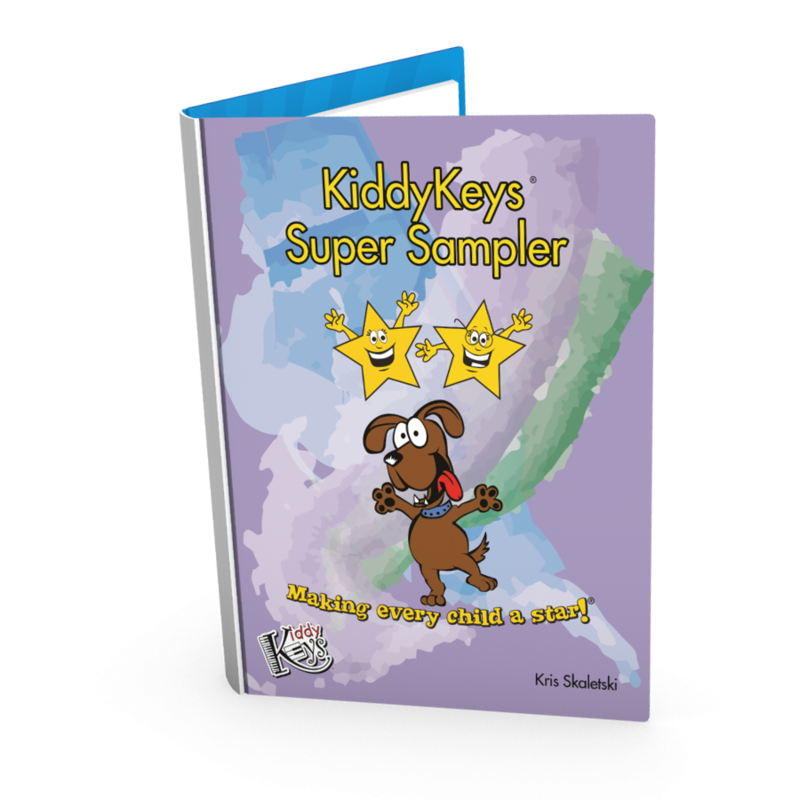 All materials are digital and housed in the KiddyKeys Kitchen, accessible from your computer, phone, or tablet. 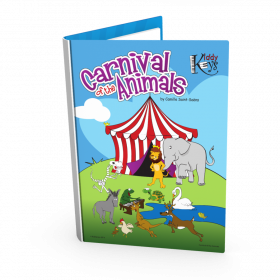 These materials are used in the lesson plans, but sold separately in case you already own them or want to use your own games and activities. *Note: these books are also in the 30-book Original Storybooks set for $150.00, so if you plan to continue in KiddyKeys, consider purchasing the full set!